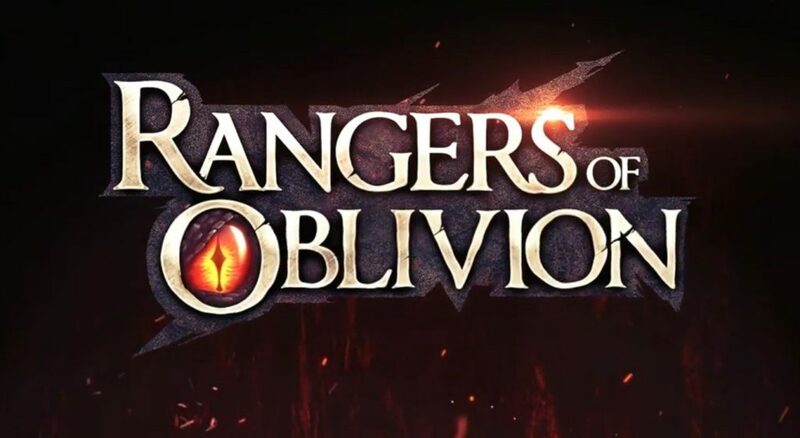 Rangers of Oblivion is a brand new mobile RPG that aims to combine the best of Monster Hunter with an MMORPG. 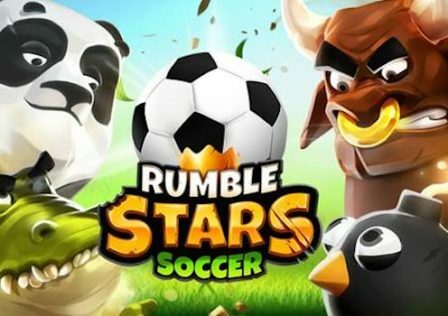 This isn’t the first game to attempt this on mobile – Dragon Project gets the credit there – but we would say that it’s easily the most successful yet. The core loop is exactly the same as Monster Hunter. You visit the local smith, check out what materials you need to craft a more powerful weapon or set of armour, and head on out to beat up massive monsters to get the materials. A solid addition to the formula is the ability to track the materials you currently need in your quest bar. This means you can easily glance at what you need while out in the field. Combat is very similar, with a variety of different weapons to select from. These are pretty standard fare, ranging from slow-but-powerful great swords to shielded lances and even a bow. The only deviation from Monster Hunter here is the staff, which basically allows you to be the wizard of mage archetype from a standard MMORPG, casting elemental spells to fell monsters. No matter the weapon you choose, combat is largely the same. You’ve got a standard attack that you can use to wail on monsters and skills, which function exactly as they do in a regular MMO. You can unleash them at any moment but you’ll have to wait for a cool down to cast them again. Each weapon type also has its own unique function. The great sword, for example, has charged attacks you can unleash to devastate opponents with massive damage. You’ve also got a roll, which you can use to dodge attacks – just like in Monster Hunter. Combat is as you expect. Dodge attacks, wait for an opening, hit your opponent really hard. You can also break parts to earn extra resources. These parts are also where the monsters are at their most vulnerable, so it’s well worth focusing on them even if you don’t care about the resources. So far, we’ve focused on how it’s so similar to Monster Hunter, but there are a number of key differences. For example, the only instanced section s are when you’re out in the field, with the rest of the game functioning much the same as an MMORPG. You’ll run around with your fellow players in the hub towns, completing quests, riding mounts to get around faster, and crafting new gear. This helps to make the world feel more alive, and also gives you an opportunity to find a questing partner. So is it a successful combination of Monster Hunter and an MMORPG? This is a huge advantage over Monster Hunter, which still keeps the multiplayer aspect separate from the main game. It’s also nice as it gives you something a little different to do when you don’t fancy hunting. There’s a wealth of quests to beat instead. It’s also breathtakingly gorgeous for a mobile game and much of the dialogue is fully voice acted. 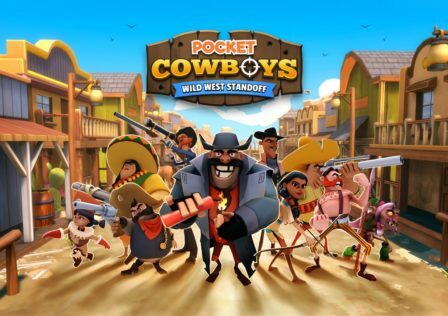 It feels and plays like a huge budget console game – admittedly from the last generation but still, it’s on your phone! Our only real graphical complaint is texture drop in and draw distance. Objects and characters often don’t appear until you’re right in front of them, which breaks the immersion a bit. 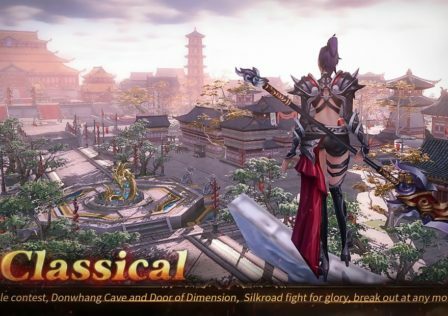 Overall though, this is an admirable effort to emulate Monster Hunter on mobile and the MMORPG elements are incredibly welcome – so much so that we think Monster Hunter should take a leaf out of Rangers of Oblivion in its next iteration. Rangers of Oblivion is a successful marriage of Monster Hunter and MMORPG, with breathtaking visuals, an intriguing combat system, and a ton of content to play through.